I know I’ve said this before, but I LOVE my Supper Club. 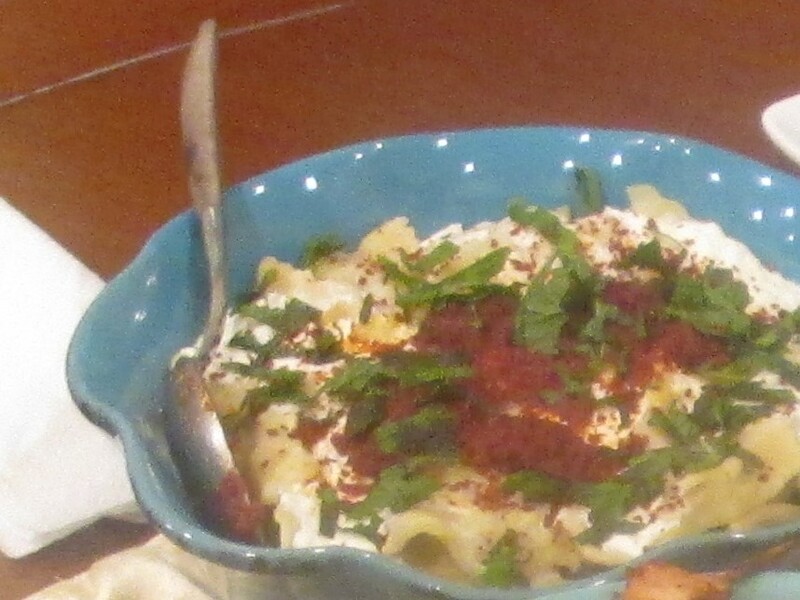 This past Saturday we delved into the cuisine of Turkey. So many flavors! Yum, yum! I had to prepare traditional lamb and chicken kabobs (Şiş Kebap) served with a garlicky tahini sauce. 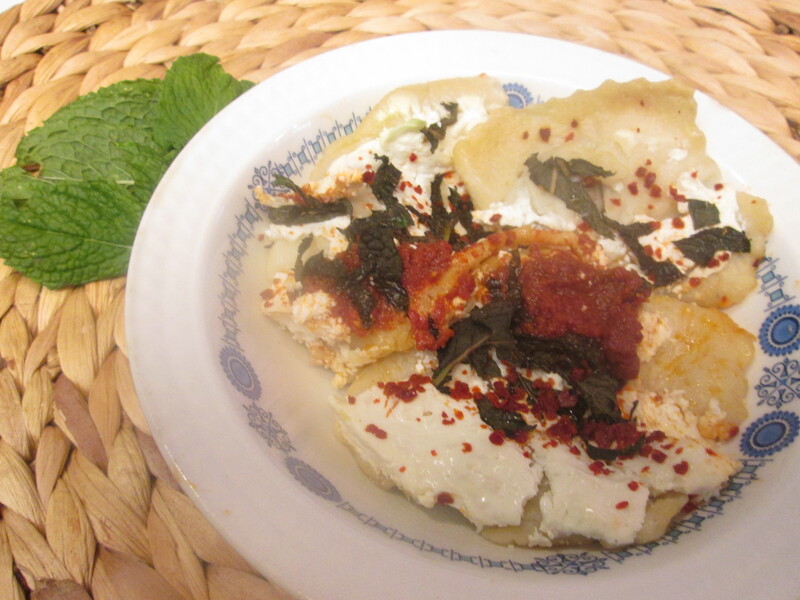 But my great experiment was with Manti with Tomato Butter and Yogurt (Turkish dumplings). 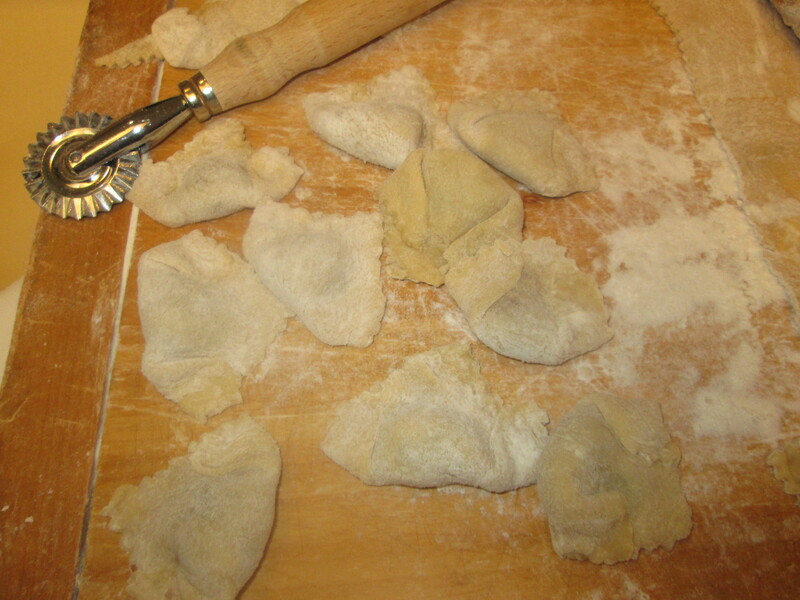 I haven’t worked with gnocchi yet, but I would think Manti is a close cousin. 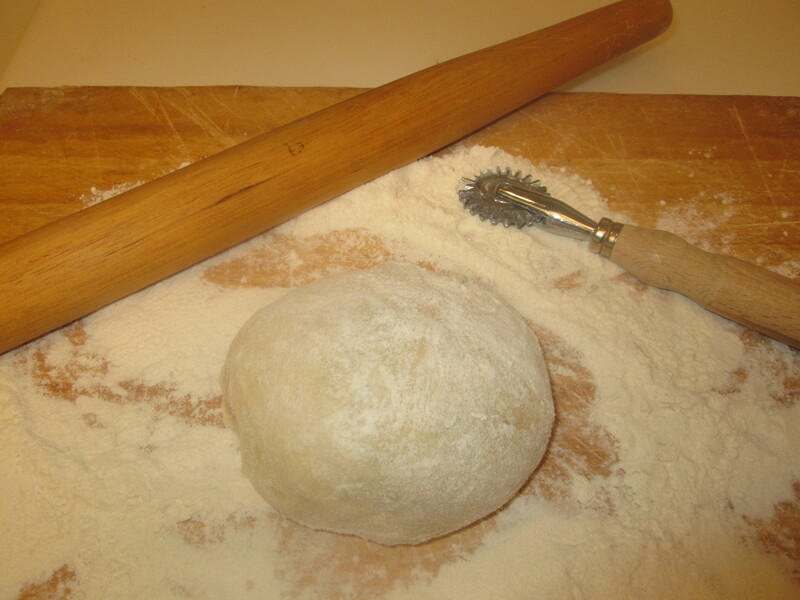 I began with a simple pasta dough (flour, eggs, salt, and water). I let my Kitchenaid do the kneading for me. I rolled it thinly (duh, could have used my pasta roller! 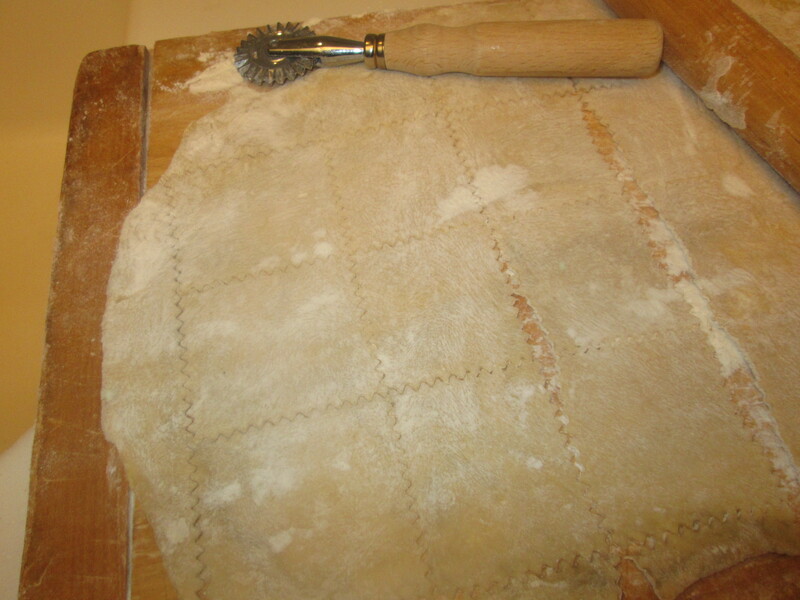 ), then separated into 2 inch squares using my ravioli wheel. Earlier, I had mixed some ground lamb (raw) with finely chopped onions and parsley, and a little salt. 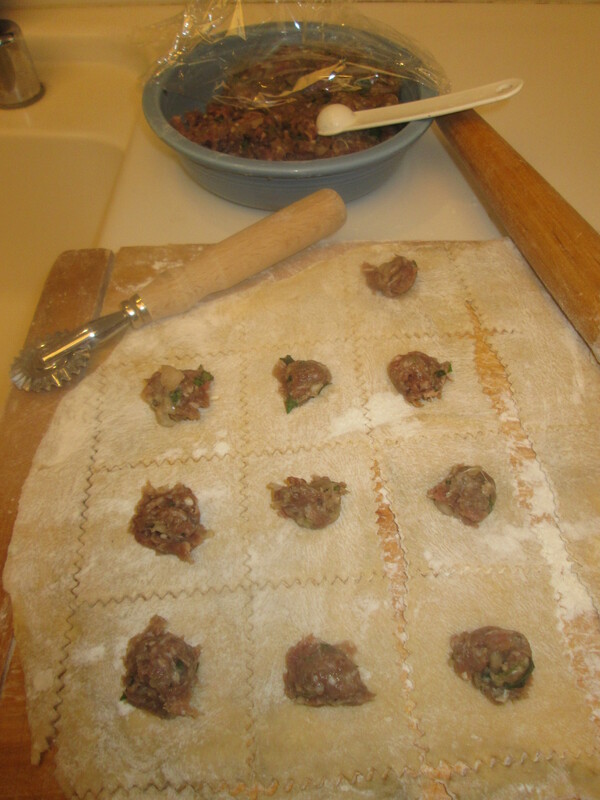 I placed a small amount in each square (about 1/2 tsp.). BTW, I had too much lamb for my pasta squares, and it was awesome cooked up and thrown in some tortillas with salsa and avocado for breakfast the next day! I’ve seen various ways to fold these little packages up. The way I used was to fold into a triangle, then fold the ends up to seal. And they did seal really well without having to use water or egg white. 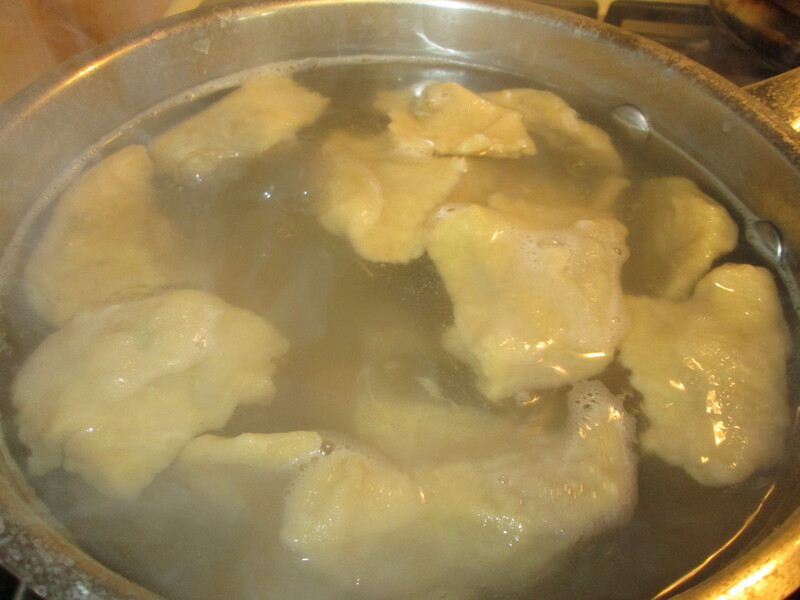 I gently placed them in boiling water for 5 minutes. What a wonderful ingredient to come from such a war-torn area of the world. 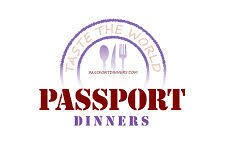 As we as Passport Dinners like to do, get out and taste the world. And invite some friends to join you. Think of what you’ll learn!